Instant repair for polyester surfboards and all fiberglass or composites. SunCure® is fiberfilled for strength and workability. Requires no mixing or adding cloth, and can be used in all temperatures. Once cured it can be easily sanded, polished or painted. 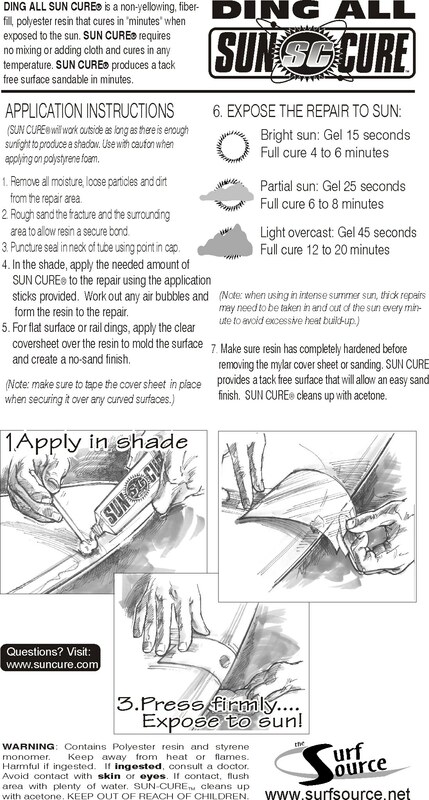 SunCures’ patented cosmetic formula dries to match the same color of your surfboards foam and glass construction.